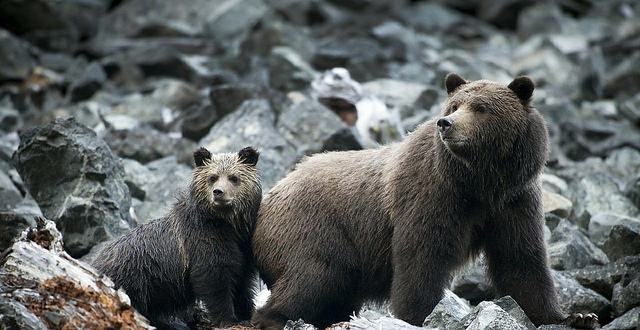 Grizzly Bear Safari – The Great Canadian Travel Co.
Come and see the legendary Grizzly Bears of Canada’s west coast on this Canadian Signature Experience. Stunning scenery and electric colours come alive as you experience one of nature’s most magnificent creatures. 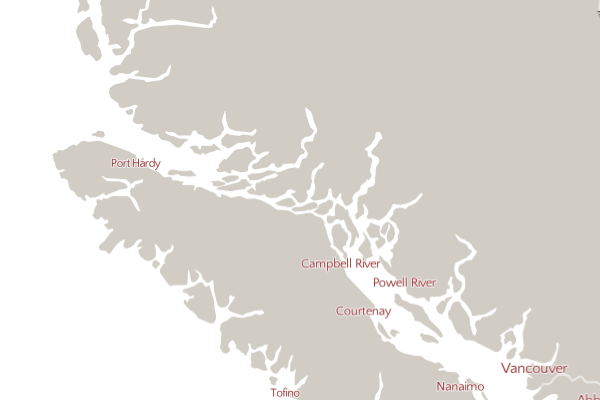 Taxes/Fees as applicable in British Columbia; will be quoted at time of reservation. Prices are shown in CAD$, per person based on two people sharing a twin room. Single occupancy rooms are not available on this program. If you are travelling solo you have the option of paying for two people. Please inquire for alternate programs that allow single occupancy. For those arriving by air, enjoy the 70 minute mid-morning flight to Bella Coola, marvelling at the impressive Coast Range mountains and expansive fjord system as you fly overhead. On arrival, staff from Tweedsmuir Park Lodge will greet you and transfer you the 45 minutes to the lodge, highlighting points of interest along the way. If you are arriving by car, we recommend arriving by 2 p.m. as your first bear viewing tour will start around 3 p.m.
After check-in, your holiday will start with a lodge orientation and an informative bear awareness seminar. 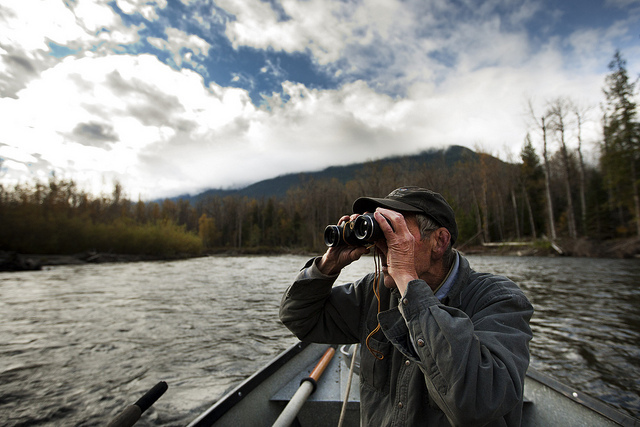 Your bear viewing commences with a late afternoon Scenic River Drift down the Atnarko River. Relax and enjoy the amazing mountain scenery……..and keep your eyes open for wildlife! 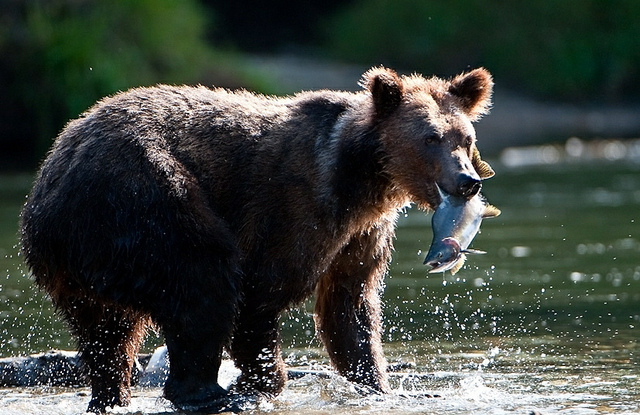 The salmon are spawning and provide an easy meal for majestic bald eagles and impressive grizzly bears. River otters and black bears may also be seen. Small Group River Drift Bear Viewing is a unique experience only found at Tweedsmuir Park Lodge and is the best way to see grizzlies. The bears are busy fishing and ignore your presence, allowing you to see them at their most natural. It’s also a great way to capture amazing photographs. The bears aren’t the only ones who will be feasting on a delicious meal; you will too, with a scrumptious 3 course dinner back at the lodge! Dinner is at 7:00 p.m. every night. Wake up early and wander down to our Wildlife Viewing Station, which is for the exclusive use of Tweedsmuir Park Lodge guests. Early morning is a great time to spot bears and the raised structure provides open lines of sight both up and down the river. After checking out the Wildlife Viewing Platforms you have a choice of a hot or continental breakfast, which is held every day at 8 a.m. Afterwards, it’s time to head out for a Guided Nature Walk in the old growth forests of Tweedsmuir Park, the largest provincial park in British Columbia. Your guide, a naturalist, will show you how to track the bears and will point out various bear signs, including rub trees with claw and bite marks, and places the bears dig out in the forest floor for their naps called day beds. A picnic lunch will be served in the field. In the afternoon, continue exploring Tweedsmuir Park with a drive on the Tote Road past old, abandoned homesteads brimming with character. At the end of the road there is a short, highly recommended hike to Stillwater Lake. This is a beautiful, pristine place that should not be missed! You will arrive back at the lodge in the late afternoon. Now you can relax and enjoy some hors d’oeuvres on the sun deck of the lodge, exchanging stories of wildlife seen with your fellow guests. Make sure to head back to the Wildlife Viewing Platforms before dinner. Check out the Wildlife Viewing Station before breakfast. Then it’s time hit the river with your guide for a morning drift on the Atnarko River in search of more bears! The bears are most active in the morning and evening and it’s a great time to enjoy a quiet float. A nutritious lunch will be served at the lodge before you head off with your guide to further explore Tweedsmuir Park. The knowledgeable and friendly guides know the area well and have mapped numerous short hikes to superb vantage points overlooking the Atnarko River to see spawning salmon…and the bears and eagles fishing for them! Departure day! 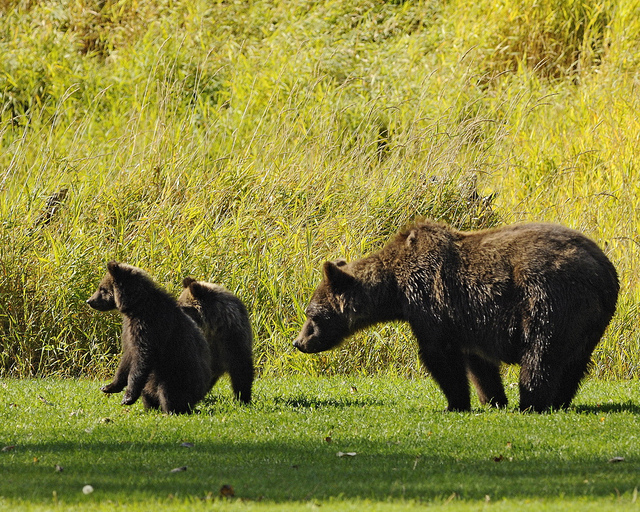 We recommend one last visit to the Wildlife Viewing Station before your final breakfast with us. Check-out is 11 a.m. If you are flying out, take advantage of a leisurely morning in which you can enjoy the lodge property, make use of the spa and gym, play some lawn games, or simply relax before taking the lodge’s shuttle back to the Bella Coola Airport for the flight back to Vancouver. If you are departing by ferry, the lodge will arrange to drive you to the harbour. Note: The hiking tour requires a moderate level of fitness. You should be able to walk for about 3 hours over uneven terrain. If this would be a challenge for you, a stay at the lodge would still be possible by skipping the hiking portion of the program or by booking a private tour which can be customized to your walking abilities. Please contact us to extend your stay at Tweedsmuir Park Lodge, or add additional activities! Clients usually say “I wish I’d stayed longer!”. We can arrange for extended stays of 5 days/4 nights or 6 days/5 nights, or customized programs of varying duration. Just ask!